Accounting and legal graduates often make the mistake of using the same version of their resume in all their job applications. Better to customise the content in response to the selection criteria and responsibilities of the position you’re interested in. That way you demonstrate, from the beginning, that you have what it takes to succeed in that position. Many organisations now use an automated system for the initial review of resumes for each position they post. This checks the extent to which selected ‘keywords’ in the position description appear in each resume. The higher the alignment, the more likely it is that a human being may eventually view your application. Even then, a hiring manager may subsequently spend only a few seconds scanning your resume before deciding whether to include you on the candidate short list. If they’re distracted by information that’s irrelevant to the requirements of the position, your chances of an interview diminish. The first step in customising your resume is to carefully read the job advertisement to identify selection criteria and responsibilities. 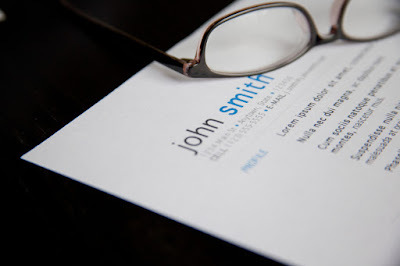 Your resume will need to demonstrate that your professional skills and personal attributes align closely with these. Check also to ensure that you’re able to include the main keywords from the advertisement in your resume – many times if possible. The top half of the first page of your resume is where you should focus your customisation. When a hiring manager notices that the first couple of paragraphs align closely with the selection criteria, it may be enough to convince them that you deserve to be on the short list. The most obvious element to consider in this area is your ‘target job title’ or ‘career objective’. This should match the wording used in the job advertisement. For example, if an employer is seeking a ‘Junior Tax Accountant’, these three words should appear at the top of your resume. When you describe your previous work experience (either paid or volunteer), you should ensure that the details resonate in the context of the advertised position. For example, if you’ve worked as a bar manager, your cocktail mixing skills may not be as relevant as your experience in reconciling the bar’s financial records in anticipation of a tax audit. Likewise, in the ‘Education’ section of your resume, you only need to describe the subjects studied if they’re directly relevant to the advertised position or demonstrate above-average achievement. Customising your resume for each application can be time-consuming and tedious. The good news, however, is that the more you do it, the easier and quicker it becomes. You’ll eventually find that you’ll be able to re-use phrases and descriptions for advertised positions that are similar to ones you previously applied for. The even better news is that tailoring your resume will help you stand out from other applicants and increase your chances of securing both an interview and a job.